ø 4 Safest Cities for Cyclists in the U.S. | Cars-10.com 4 Safest Cities for Cyclists in the U.S.
With rising gas prices, climate change and bike paths popping up in cities all of the country, biking more just makes sense. Riding a bicycle can save you time and money, improve your health, and reduce your footprint. No more sitting in traffic and paying high maintenance costs and insurance that goes along with driving a car. However, as cycling increases in popularity, bicycle accidents are also on the rise. If you are struck by a car or hit something yourself the chances are you may be seriously injured. Knowing and using safe bicycling practices can reduce your chances of getting in an accident but living in one of these 4 cities will surely improve your cycling experience with their variety of bike routes, bicycle friendly laws and overall encouragement of cycling. Denver is absolutely gorgeous. If you want to live somewhere with four beautiful seasons and scenery that changes throughout the year then this may be the spot for you. Not only is Denver’s economy booming at the moment, it one of the best cities to travel by bike. 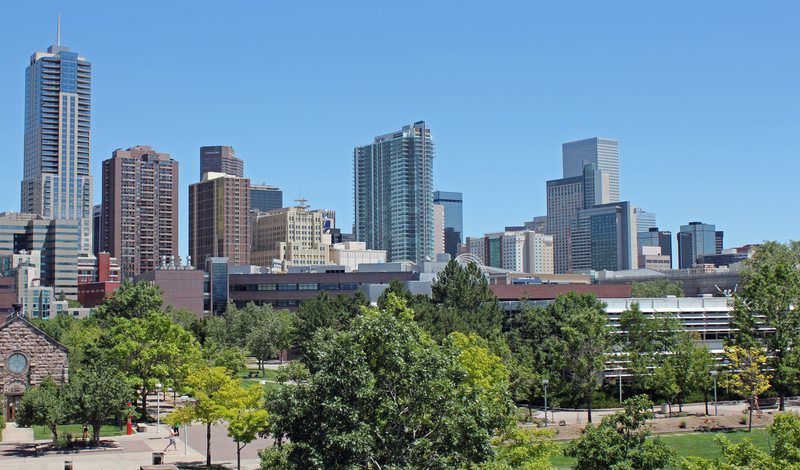 Recently upgrading all bike routes and paths throughout the city Denver is a outdoor and bike riders dream home. All of your daily needs are also in close proximity to residential areas ensuring that you are never too far to bike. Personally, my favorite city to bike in these days is my beautiful hometown of Boston. Not only because I grew up there, but because they have recently added a brand new bike share system that has made getting around the city easier than ever. The bike share system allows you to rent out a bike, ride the bike to wherever you need to get, and then return the bike for a low fee. The bike share system offers daily, monthly, and yearly passes. Tucson, Arizona is located about 115 miles away from Phoenix. If you are looking for the city with the most space and room to ride your bike around then this is it. Tucson has a whopping 620 miles of its city dedicated to bike lanes to ensure that citizens riding bikes are always as safe as possible and can get everywhere they need. Although cyclists used to steer away from San Francisco due to the lack of bike lanes installed throughout the city, they are now showing up in full force due to the newly added 20 miles of bike space for riders. A sizable 25 percent of San Francisco’s citizens claim to bike to work everyday, which speaks for itself. No matter what city you are going to be riding in, it is always important to remember that safety starts with you. Always wear a helmet when riding, be aware of other vehicles and bikers on the road, and always remember to look twice before crossing roadways. Commuting by bike is not only going to save you money but you will also find it can be a blast if you are in the right city!